My experience with Digital Print Ink surpassed my expectations. Improve your market reach, brand recognition, and customer foot traffic by investing in custom vehicle wraps and graphics crafted by your local Springfield sign company, Digital Print & Sign! 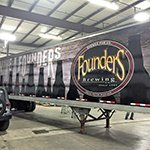 We custom craft auto-wraps, truck wraps, trailer wraps, car wraps, boat wraps, and more business looking to grow their business! 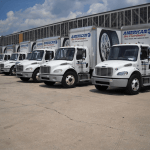 Whether you need a single promotional wrap for your small business or a collection of truck wraps for your fleet, we will custom create the perfect solution for your business promotional goals. From expert wrap design through professional installation of your auto-wraps, we provide the support and guidance you want from a sign company. So whether you need commercial van wraps, truck wraps, car wraps, trailer wraps, boat wraps, or a single vinyl graphic – the experts at Digital Print & Sign are here to help you accomplish your goals! Call Digital Print & Sign at (417) 323-6919 for a Free Consultation with a Commercial Vehicle Wrap Expert! Not every business will need a full auto-wrap to promote their business. You can still use your car as a promotional tool by investing in vehicle magnets, vinyl graphics, or partial auto-wraps. Nothing transforms your car, truck, or van into a powerful promotional tool like a complete-auto wrap! 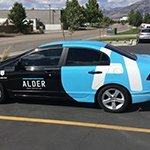 Our vinyl auto-wraps offer seamless coverage for any vehicle, and with striking, full-color graphics, you can completely customize your look, brand, and message, taking your branding message even further. If you want to maximize your business exposure, a full vehicle wrap can be the solution you’ve always wanted! Our premium-grade, heavy-duty vinyl also acts as a layer of protection for your heavily used vehicles and watercraft, including jet skis and boats. If you want to zone in on a specific section of your car for brand identification and promotion, then a partial wrap will do just that. You can choose any part of your vehicle, including your side panel, door, hood, tailgate, bumper, or any combination you desire. Our knowledgeable installation team will apply your partial wrap to the surface of your vehicle and working with the natural lines and joints, create a beautiful, seamless finish to your car. Car vinyl graphics are an affordable alternative that offers brand identification and business promotion when full and partial wraps are still too much. Individually cut from a full sheet of vinyl, vinyl graphics can be placed anywhere you desire. Ultimately increasing the flexibility to personalize your vehicle any way you wish. You can add, remove, and replace graphics as needed. If you simply want to add a logo or a corporate message to your vehicles, vinyl graphics are the best option. Have you always wanted to use your vehicle for business promotion, but need a removable option? 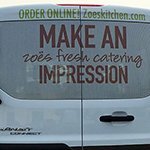 If you don’t want to advertise your business everywhere you go, a vehicle magnet may be the right solution for your advertising needs. Vehicle magnets are easy to remove and replace when needed – whether you switch vehicles often, live in a community where signage is prohibited, or need to get somewhere quicker on your free time and not have it reflect negatively on your business, Digital Print & Sign has the solutions to help you increase your marketing reach. 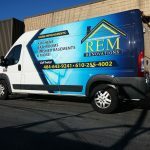 Vehicle magnets are easy to customize and are available in many different sizes, styles, and shapes, making it easy to find the right solution for your business and marketing goals. Do you want something to complement your partial or complete-auto wrap? Consider investing in our perforated window film! This film is entirely legal and can be printed to fit your brand personality, your logo, or corporate message. Best of all, it also provides some privacy to the interior of your vehicle. 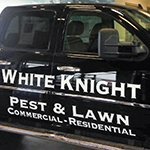 Whether you’re an HVAC repair company or an exterminator, perforated window film will help you make the right first impression! Whether you want your business license printed or want to transform your truck, van, or car into a mobile advertising unit, Digital Print & Sign can’t wait to create it for you! 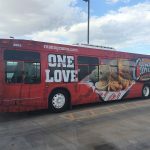 Whether you need cohesive fleet wraps, trailer wraps, truck wraps, van wraps, bus wraps, or a personal car wrap, Digital Print & Sign can help you find the right solution for all of your business or marketing needs. During your free auto-wrap consultation, our experienced consultants will discuss your business and marketing goals. Getting this insight allows us to tailor a vehicle wrap to fit your brand, business, budget, and marketing goals. Once we know what you need, we will create a custom quote that includes any services you need, such as design, manufacturing, and installation for your wrap. As your local full-service sign shop, Digital Print & Sign also crafts custom indoor signs and outdoor signs to maximize your branding and help you achieve your marketing goals. 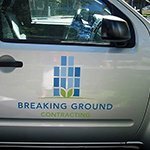 From engaging storefront signs, vinyl window graphics, custom yard signs, lobby logo signs, floor graphics, and wall murals, Digital Print & Sign can create the commercial signs you need to grow your business! Vinyl wraps not only help to increase business and brand awareness but also improve the public’s confidence in your business. 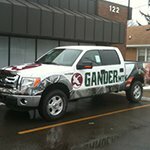 If you routinely visit your clients at home, such as plumbers, electricians, or exterminators, a vehicle wrap is a must. Most people are uncomfortable allowing unfamiliar people into their home, but with a branded vehicle wrap, your customers will be confident that you are who you say you are, making it easier for you to get the job done. 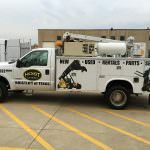 Ad wraps are continuing to increase in popularity and are being used to advertise businesses in every industry, but remain essential for cable companies, dry cleaners, handymen, repair techs, plumbers, and electricians. At Digital Print & Sign, we believe that every business can benefit from the increased visibility ad wraps have to offer! Every business regardless of type can benefit from a brand-building ad wrap. Your branded vehicle will attract attention simply as you go about your day. Whether you’re stuck in traffic, headed to lunch, or parked in your company parking lot, our vehicle wraps advertise your business and stay beautiful in every weather condition, making them a great long-term business investment. Vehicle wraps are a perfect advertising option for those businesses without a retail location. Whether you work from your home, share an office, or don’t have an office, our vehicle wraps will spread the word about your brand and get your business moving! If you want to take your vehicle transformation further, we create beautiful perforated window film for that shop stopping look! Add your logo, corporate message, or personalize your windows any way you wish! Do you own a business operating on the beach or the water? Digital Print & Sign creates a vehicle wrap for you too! Our marine-grade vinyl wraps are ideal for boats, trailers, jet skis, and other vehicles subjected to salt water, fresh water, and sand. If you own a marina, a marine-grade vinyl wrap is a smart way to protect your investment while also getting your marketing message out consistently! If you operate on the beach but don’t own a boat, we can also wrap your food truck, trailers, or other vehicles in the same quality wrapping. Since boats and other maritime vehicles also require registration ID printed on their sides, you will want to make sure that those decals can withstand even the harshest of conditions. Digital Print & Sign will ensure that you stay on the right side of the law by printing your boat ID numbers, licenses, and even the name of your ship in the right size and correct placement. When your boat is central to your business, you’ll want it to not only look and feel safe but also comfortable and inviting to your visitors. Whale watching, parasailing, recreational sailing, and many other businesses that work directly from their ship can benefit from the protective layer our premium-grade marine vinyl has to offer. 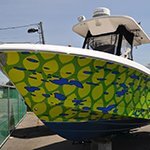 Our wraps not only protect your maritime vehicles, they also serve as a marketing tool, promoting your brand and business everywhere your boat goes, even while docked. As a full-service sign company, we provide professional design assistance for all of your auto wraps and vinyl graphics. Whether you have some idea as to what you want, a fully fleshed out design concept, or no idea at all, Digital Print & Sign has you covered. Custom vehicle wraps allow you to personalize your vehicle and making it easy for you to spread the word about your business. During your free consultation, the team at Digital Print & Sign will guide you through all of your options, and help you find the right wrap for your unique needs. Our dedicated, knowledgeable staff is here for you throughout every step of the sign creation process. We begin your project with a free vehicle wrap consultation, where we discuss the type of vehicles you have, your marketing and visibility goals, and what you want out of your wrap. We’ll go over the ideas you have, the ideas we have, and the specifics for what will make up your wrap. Our graphics team will then develop a digital proof for you to review. This sample allows you to see what the finished product will look like, and provides you with the opportunity to edit and fine-tune your wrap. Once we get the go-ahead, our fabrication team will begin creating the individual elements that make up your vehicle wrap on our state-of-the-art equipment. Finally, once your wrap is complete, we send it to our professional installation team to carefully apply it to your vehicle. Our talented installation team is dedicated to ensuring a seamless finish, free of ripples, bubbles, warps, and rips, for a polished finish that you can’t resist. If you want to update your vehicle wrap or graphics for any reason, we can also assist you with this as well, even if we didn’t complete the original job! 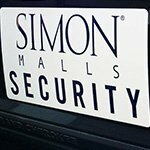 From making major to minor repairs, Digital Print & Sign is your trusted signage provider. Whether you have many vehicles you want branded or a single customization request, our team is ready to handle any of your vehicle wrap challenges. From your initial free consultation through professional installation, we are committed to your complete satisfaction. Stop by to speak to any of our consultants or project managers, and let us show you how we can turn your vehicle into a brand-building, promotional tool. Call Digital Print & Sign at (417) 323-6919 for your Free Consultation with a Vehicle Wrap Specialist! I love working with them for all my printing needs!